When the Dead Sea Scrolls were first discovered, hope in theological and scholarly circles soared higher than ever before. 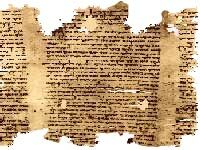 Due to their being found in such close proximity to Jerusalem and being written in Hebrew and Aramaic, the Dead Sea Scrolls immediately received more attention from the international press than the Nag Hammadi Texts [found in Egypt in 1945]. The Dead Sea Scrolls became more important than any other near east documents of antiquity. The discovery of the Dead Sea Scrolls in 1947 in the Qumran region of Palestine quickly became recognized as one of the most important archaeological finds of the 20th century. That year some Bedouin youths wandering around the caves that dot the west coast of the Dead Sea discovered several clay jars containing bundles of leather parchments. These are now famous as the Dead Sea Scrolls [also known as the Qumran Scrolls] and consist mainly of Hebrew and Aramaic manuscripts. The discovery of the Dead Sea Scrolls was an exciting event for Biblical scholars. Most of the scrolls came to be deposited at the Catholic controlled institution in Jerusalem know as the Ecole Biblique [French Biblical and Archaeological school in Jerusalem]. The anticipation was that the experts at the Ecole Biblique would soon carry out the work of translation, but this hope was not realized. During this thirty year period of procrastination, speculations about what the Dead Sea Scrolls contained ran wild in laymen circles. Rumors were abound that the Dead Sea Scrolls spoke of the life of Jesus in greater detail than even the Bible. It told the story of a people who surrounded Jesus [later to be identified as Essenes] who were nonviolent, peace loving, vegetarian pot smokers, who wore non-leather sandals and who were the true bearers of the Gospel truth. All that however was hearsay, but due to the efforts of Professor Vernes and others the world was about to find out what the Dead Sea Scrolls actually said. The translations of a few of the first scrolls released came as a most unexpected shock — one that threatened to undermine the very fundamental viewpoint of mainstream Christianity. These scrolls indicated that beliefs and practices of what we call early Christianity [the one supposedly founded by Jesus] had in fact existed long before him. What emerged from the scrolls was the picture of an early Christianity that was responsible for the original church of Jerusalem but that was an extremist Jewish movement violently opposed to the influence and dominance of the Graeco-Roman world. 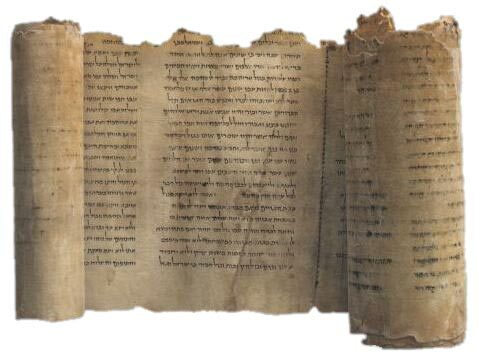 The dates when the Dead Sea Scrolls were being written was ascertained to have started in 150 BCE and continued until 70 CE, a period of 220 years. During those years 872 scrolls were written in Hebrew and Aramaic by the peoples of Qumran. It is important to note that the supposed life of Jesus was between 2 BCE and 36 CE [a period of 38 years] and that the Great Temple of the Jews in Jerusalem was destroyed by the Romans in 70 CE. These are the keystone dates to remember for putting together the emerging picture from the Dead Sea Scrolls. The contents of the first scrolls released by the Ecole Biblique created such a stir in the intellectual world that no further scrolls were available for examination until an unknown defector working inside the Ecole Biblique leaked out photo copies of the remaining texts to Professor Robert Eisenman of California State University. The first photocopies of the Dead Sea Scrolls began arriving at Professor Eisenman’s office in September of 1989 and the last photocopy arrived in late autumn in 1990. This was indeed theological espionage and intrigue at its best. 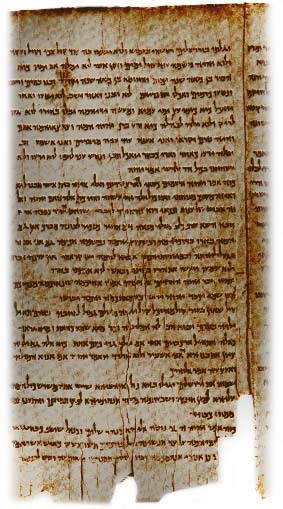 Two weeks after receiving the last document Professor Eisenman published a two volume edition containing photocopies of all the scrolls under the title “A Facsimile Edition of the Dead Sea Scrolls.” At this point the Vatican got involved up to their neck in the politics of trying to suppress the publication of the Dead Sea Scrolls but ultimately failed. Scholars and theologians of integrity soon began the translation of the remaining Dead Sea Scrolls and the cat was out of the bag! By the time scholars completed the translation work on the Dead Sea Scrolls one very important fact immerged — something that probably no one expected. Nowhere in the Dead Sea Scrolls was the name of Jesus mentioned — shocking indeed. Nor did the popular Christian view of early Christianity find any support in the new translations. To summarize, Professor N.S. Rajaram in his book “The Dead Sea Scrolls and the Crisis of Christianity” the contents of the Dead Sea Scrolls challenged the two most fundamental beliefs of Christianity: the uniqueness of Jesus Christ and Christianity as the embodiment of the message of Christ. Both these beliefs are put in jeopardy by the Dead Sea Scrolls and thus it becomes understandable why the Catholic Church procrastinated in making the Dead Sea Scrolls available to the world. First, the scrolls make no specific mention of Jesus or that the ‘Jesus message’ originated with him. According to the emerging picture from the accounts of the times in the Dead Sea Scrolls, Jesus would at best have been one among many “teachers of righteousness” that were part of an ultra conservative messianic Jewish movement based in Qumran going back at least 100 years BCE. The Qumrans were intensely religious zealots dedicated to the fight against their Roman overlords, but unfortunately when the anticipated day of the Apocalypse finally came the Qumrans were destroyed and killed down to the last man in a decisive, devastating battle with the Romans. This battle took place at Qumran in the year 70 CE shortly before the Roman Legions marched on Jerusalem to destroy the Great Temple. This was the deathblow to the Jewish revolt. The Dead Sea Scrolls also make it very clear that until the year 70 CE when the Qumrans were totally destroyed, that they were waiting in great anticipation and with great faith for the messiah to appear and deliver them. The messiah, according to Jewish and early Christian belief, was not to be God himself [in the flesh so to speak] that would deliver his people by clearing their way to heaven. The messiah for which the Jews waited so long was to be an empowered King who would destroy the enemies of the Jews and regain their holy land. According to the prophecies the messiah never came. 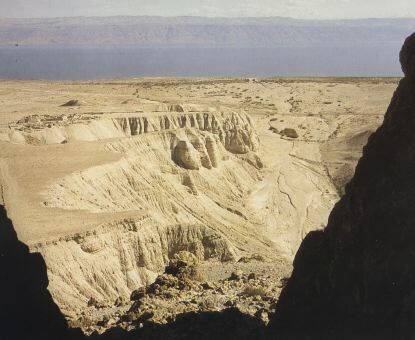 Possibly prompted by the premonition of ultimate doom or so that future generations might know of them and their beliefs, some unknown souls of the Qumran community thought it wise, for safe keeping, to hide their records in earthen pots in the mountains — an act of prudence that has brought us the Dead Sea Scrolls. So what does this all mean in terms of Christianity, Jesus, Christian beliefs and so forth? What it means is that everything today’s Christians think they know about Christianity is false. Their beliefs are simply a patchwork canon of old world Jewish superstitions in a messiah who never came, packaged in colorful layers of numerous popular pagan beliefs of the victorious Graeco-Roman culture and remarketed as the Jesus myth. The blow to mainstream Judaism and the Apocalyptic cults of Judaism we call Christianity, dealt to them so violently by the Romans, must have shaken their belief system at the very root. The Romans did not simply come to Judea in 70 CE to suppress a small uprising — they came to stamp out such political discontent once and for all. Thus they were very through in what they came to do. It is often thought that the Romans persecuted Jews and later on Christians for their religious beliefs, but essentially that is not true. Both the Jews and the Christians were persecuted by the Romans for political reasons — political reasons that may have grown out of religious sentiments, but political in Roman thinking nonetheless. As for religion, Rome was as tolerant and benevolent as anyone in the ancient world could expect. But in matters of political intrigue Rome historically had a zero tolerance. For the Jews it was a matter of old beliefs that God had selected them among all people in his creation as the chosen ones and given them a land [Judea] in which to live and to rule themselves. Thus God’s promise was not fulfilled until every foreign power had been expelled from Judea. And Christianity followed close behind with the strong monotheistic belief that they should put no God before their God least they burn in Hell forever — what to speak of worshipping the Emperor as a man-God — something that every member of the Roman Empire was required to do at least once in a year. Failure to do so marked one as a political dissident and a condemned man. Thus both Jew and Christian found themselves on a collision course with Rome from the very beginning. This hopeless situation however ultimately gave rise to a novel idea of religion via the preaching of Paul of Tarsus. Paul seized the moment and breathed hope back into the faith of an otherwise thoroughly defeated and demoralized people. Those who had lost all hope in a messiah [who had failed them] were told by Paul that indeed the messiah had come and died for their sins [though they failed to recognize him] giving them access not to a kingdom of this world but to the very Kingdom of God in Heaven. Paul took his message among the Gentiles [where he had some influence and had been raised in his youth] and there he found another weary people, whom in addition to the worshipping of many Gods, needed in their lives the security of salvation in the after life. Thus Jew, Gentile and Christian found hope in the fertile imagination of Paul. As for the Dead Sea Scrolls — they are mostly forgotten. The contents of the Dead Sea Scrolls are known among scholars, but such are never preached to enlighten the common man. The average persons are too busy watching cable TV or listening to their favorite song on an iPod to take the trouble of investigating what the greatest archaeological discovery of the 20th century had in store. Such laziness to endeavor to find the truth however is greatly exploited by the clergy of cheating institutions who are expert in capitalizing on the popularity of myths and binding people with a labyrinth of religious superstitions. But this is certainly not becoming of one who has achieved this rare human birth and has the God gifted intelligence to understand the facts when they are presented. This article has valuable information – however the writer has no understanding of Judaism – the concept of Judaism as the Mother of Christianity is a tragic misconception – one which has been repeated in History for centuries. Judaism and Christianity have absolutely nothing in common whatsoever. Much of Christianity is paganism and a mistranslation of the Torah/Tanach (Old Testament) to make it say about a false prophet and messiah called Jesus. Christians mentain there is over 300 prophecies about Jesus Christ, in the Torah/Tanach – when in fact there is none. Previous post: No Mention of Jesus in the Dead Sea Scrolls?